It’s been pretty quiet around here these last few weeks with our big over-ocean move, setting up a home from scratch (down to the measuring cups), and preparing for our brand new babe any day now. Before I knew it, our first babe turned two (yesterday), and we’re already the second day into Advent! I feel more rushed this year than the last few, the anticipation of Christmas and the celebrated birth of Christ further off my radar than I would like. But still, I force myself to stop. To re-read the story. To tangibly and intentionally “wait for the coming of the holy party” as Ann Voskamp would say. Traditionally, the Advent stories begin with prophecy. A recounting of Old Testament patriarchs that foretold of the coming of Christ. Familiar words in the book of Isaiah telling of a holy Shoot coming off the stem of Jesse. We’re starting out by simply reading Luke’s story from the very beginning. Chapter one, verse one. Word by word. Watching how He brought all the details together in those final months before that miraculous and holy birth. Luke himself said that it seemed good to him to write the narrative that is now re-told every single Christmas in perpetuity. A story that he followed consecutively. And examined thoroughly. And investigated meticulously. I love that our Advent doesn’t begin in the manger. It begins in the temple. It begins with a priest. And his wife, who was also from a priestly lineage. Together, they knew the law. And the commandments. I mean really knew it. And they followed it carefully. Striving to live their lives blamelessly both morally and ceremonially. Incidentally, they had been unable to have children. We catch up with Zacharias on a day when the duties of the job fell on him (and him alone) to burn incense inside the temple on the day of the Sabbath. A day when part of that job included reading the law of the Nazarites from Numbers 6, as well as one additional story that was particularly close to home for the pious priest. It’s the one out of Judges 13 – when the angel appeared to Manoah’s wife (who was also barren) and foretold of her impending conception of a son named Samson, who would be a Nazarite. After Zacharias finished reading, he interceded for the entire population of God’s people – standing alone inside a 30’ x 15’ room containing the golden altar that he would place the incense upon. A room that only the priests could enter. And outside, the people gathered and prayed. Scholars will tell you that the duties Zacharias fulfilled that day was the most distinguished part of the Sabbath day service. It is the same ceremony that took place in Revelation 8 after the seventh seal was opened on the scroll that Jesus held as He sat at the right hand of God. The same broken seal that ushered in a 30-minute silence throughout the vast expanse of heaven. And then, before the trumpets blew, an angel with a golden censer came and offered incense with the prayers of the saints. The same ceremony that Zacharias was performing inside the temple. And then came the Angel. Zacharias was righteous. And blameless. And a priest with holy privilege. And still, he was afraid at the sudden angelic appearance. In the same way the shepherds would be later in our story. After that life-giving Babe was born. And the glory of the LORD shone brightly around them. God knew what He was doing when He covered over Moses that day in Exodus 33. He knows that we cannot bear the impact of His glory when even a glimmer of it in the presence of angels terrifies us. The angel said something unexpected. And spoke a promise of answered prayer to man who had long been waiting for a child (and possibly long since given up hope for one). But before there was any indication that Elizabeth was pregnant. Before even the most discerning person could begin to guess that her body was showing signs of a miraculous change, God foretold it. We all know the stories foretelling the birth of Christ. But we don’t often talk about the foretelling of the birth of a man who would prepare the way for Jesus by preaching a baptism of repentance for the remission of sins. And that day, while the rest of the city was silent, God spoke through an angel to a man simply being obedient in his duty to serve and intercede. Because sometimes, a long-awaited answer to prayer comes in the most unexpected moments. 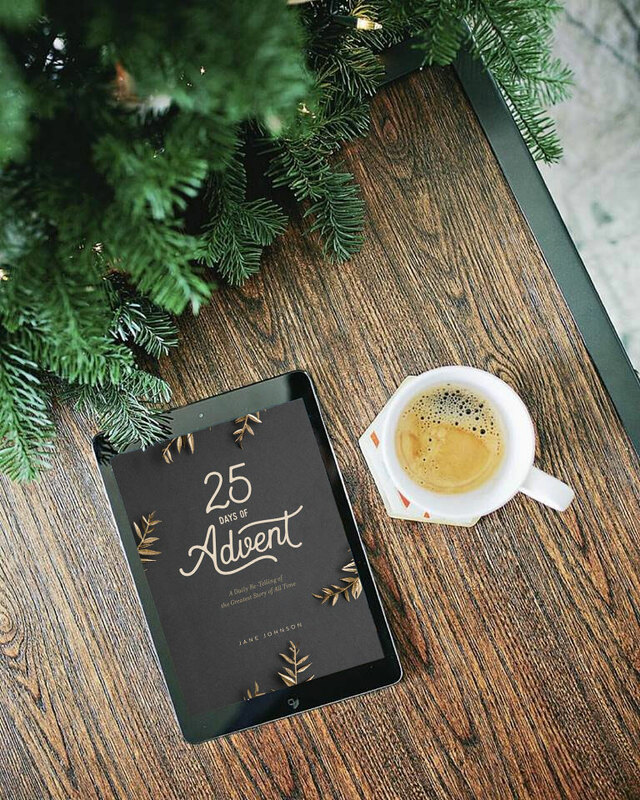 There are 24 more devotionals just like this one waiting for you in my devotional, 25 Days of Advent: A Daily Re-Telling of the Greatest Story of All Time. 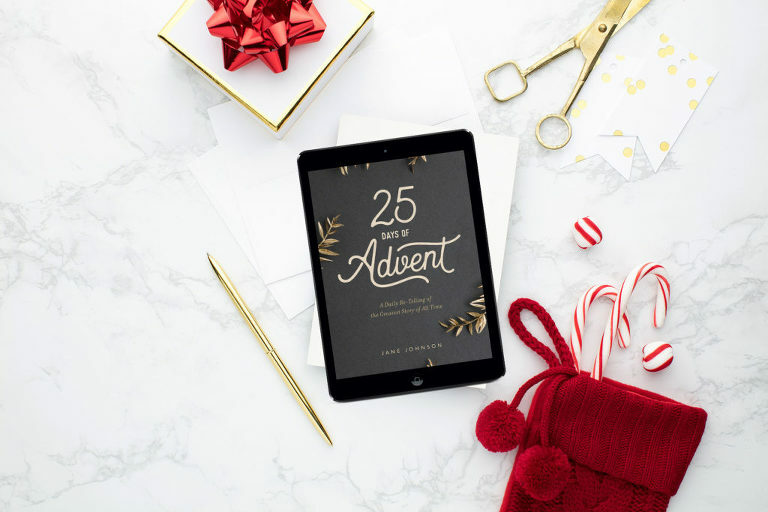 I’d love to have you join me this Advent season! Hop over here to pick up your PDF copy!